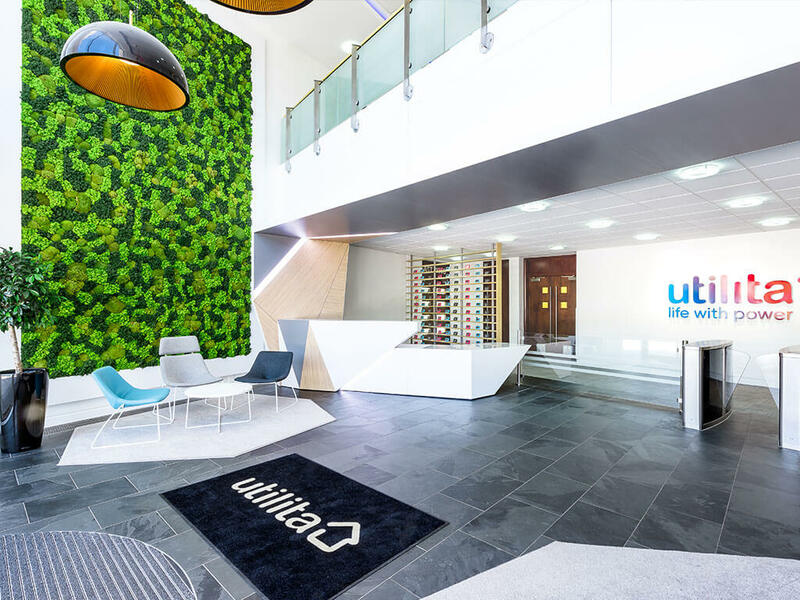 Utilita, the leading provider of smart Pay-As-You-Go energy in the UK, were inspired to revamp their reception area after a visit to Nimlok HQ and appreciating the power customer facing areas can have as tools to convey brand values to both staff and visitors. Wanting to make the most of the high ceilings and glass frontage of their head offices in Eastleigh, Hants, the brief was for a bright and energised interior to be created. 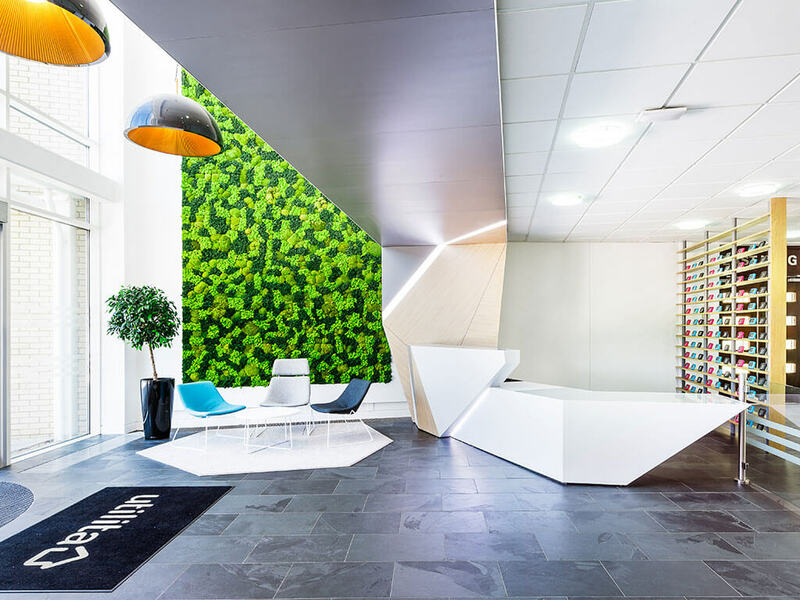 The design of the permanent installation was to reflect the company’s young workforce and the strength and professionalism of the relatively new energy brand. 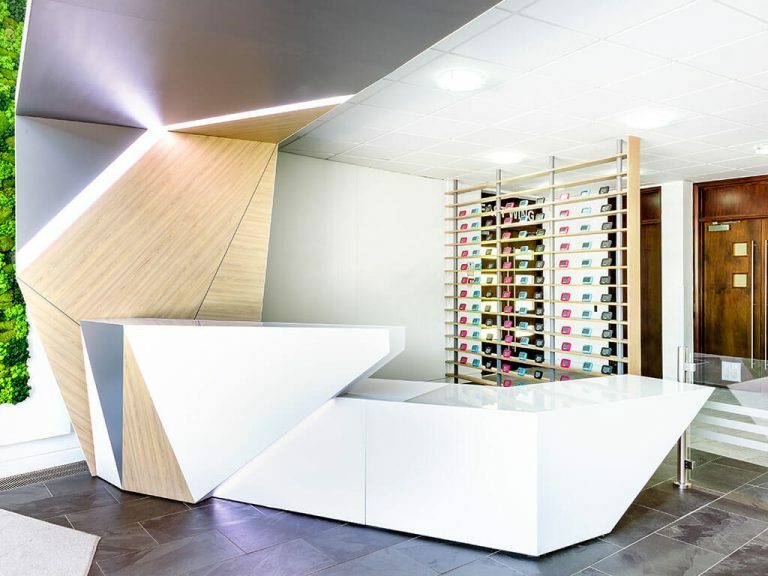 Using Utilita’s exhibition stand design as a starting point, an angular reception desk was formed to mirror those of the Utilita logo. The addition of high gloss wood panelling and a huge moss wall softened the contemporary area, welcoming those who stepped into the building. Explore the gallery below to see the results we achieved for Utilita. Nimlok have been an integral part of our exhibition presence and so their excellent design work and efficient service gave us the confidence to trust Nimlok in carrying out our reception redesign. From concept to installation, Nimlok managed every aspect of the project. Their communication throughout the process was brilliant and the redesign was met with great feedback. Discuss your reception or showroom requirements with us today.